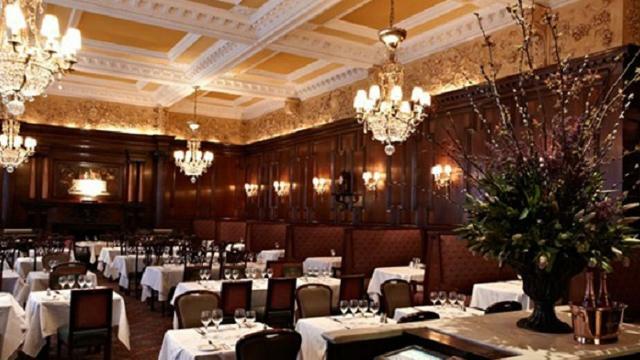 Simpson’s in the Strand is one of the oldest traditional English restaurants. Its history goes back to the 1828 when the place was opened. By 1850 it was already extremely famous for its traditional food and also as the most important venue in Britain for chess. 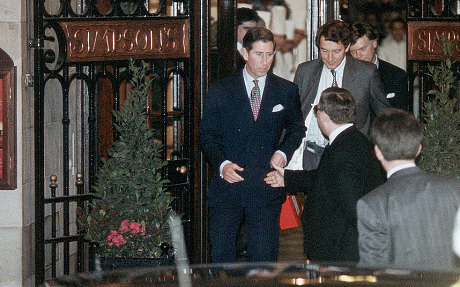 Some of the most prominent guests of the restaurant are Sir Arthur Conan Doyle, Prince Charles and Princess Diana. 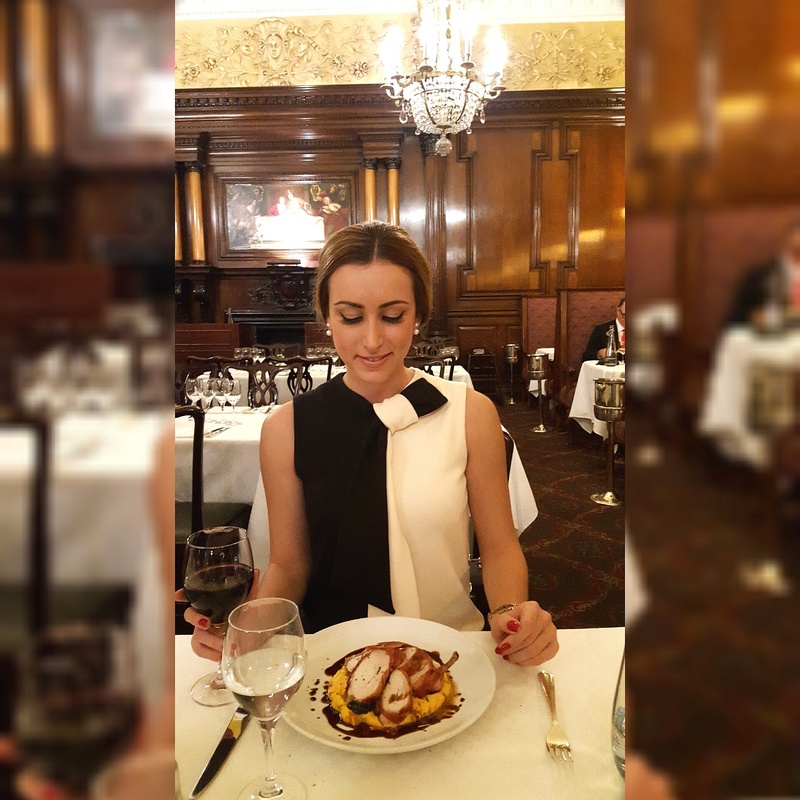 Simpson’s has remained a celebrated dining venue throughout the twentieth century and into the twenty-first.So last week I finally decided to visit the place. I went for dinner, and I was truly impressed! The atmosphere is amazing, the service is excellent and the food was very tasty. 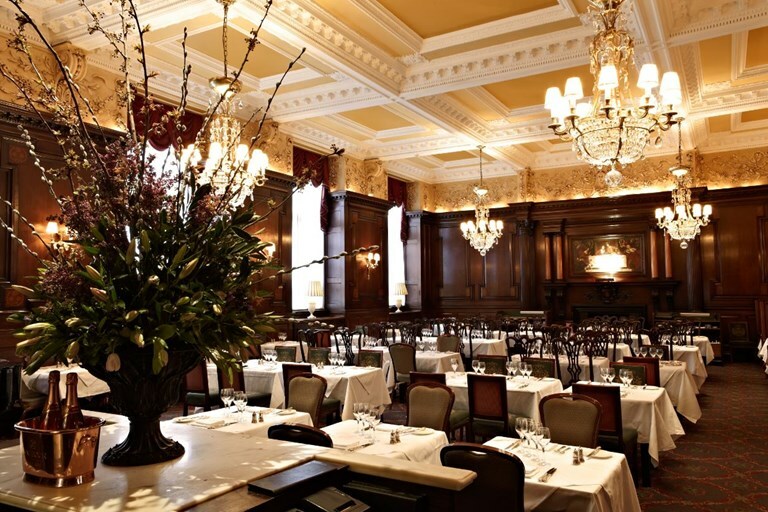 The restaurant offers a true taste of all that’s best in British cuisine. If being honest I am not a big fan of British food, however, the menu was really impressive. The finest seasonal ingredients are used by Master Cook Gerry Rae. There is a wide range of classical dishes, including potted shrimps, roast saddle of lamb and steak and kidney pie. 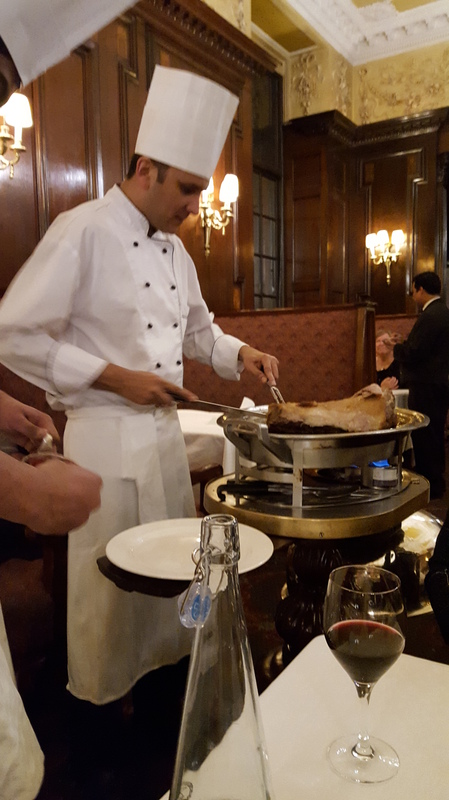 The restaurant’s speciality aged Scottish beef and other roasts are carved at guests’ tables – from antique silver-domed trolley, by Simpson’s Master Carvers in a perfect example of restaurant theatre. Simpson’s also serves the Great British Breakfast on weekdays, with the ‘Ten Deadly Sins’ for hearty appetites. 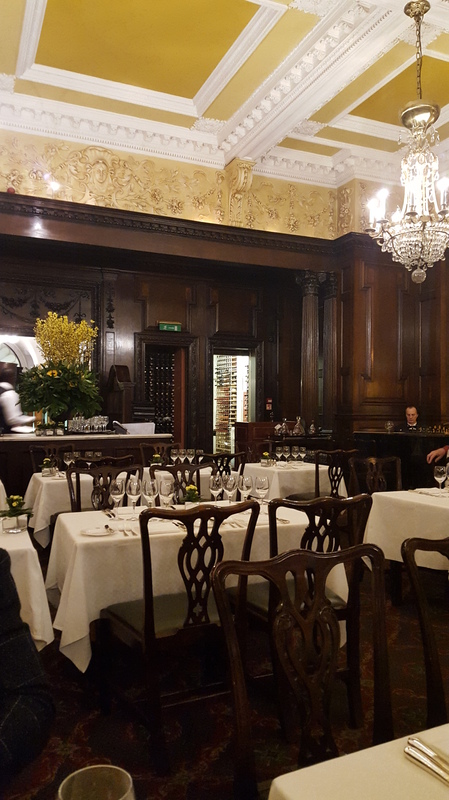 The grand piano music and the restaurant’s interior takes you back to the time of its opening in 1828, as it has preserved the 19th century style. Guests can also enjoy classic cocktails in Knight’s Bar, an art deco cocktail lounge located on the first floor. It is a great place to enjoy either a pre-dinner cocktail or after-dinner aperitif. Previous Post Stockholm City Break – What to see on a Quick Visit?